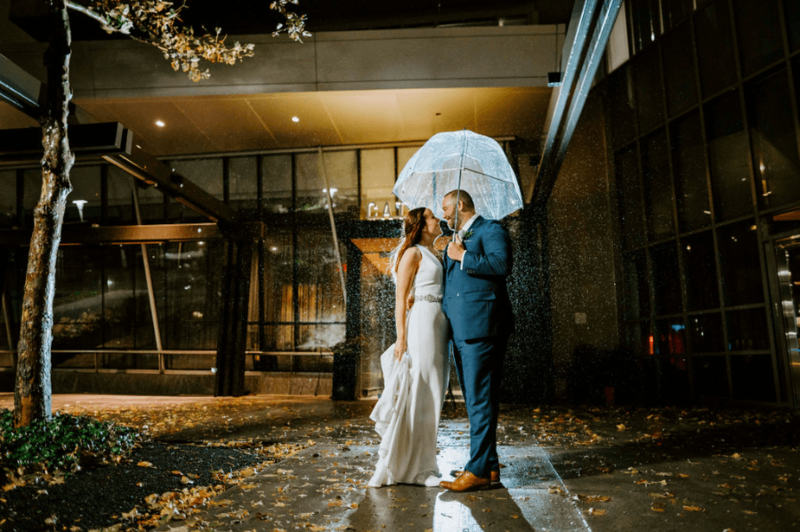 Whether you’re a total foodie with five-star cuisine on your list of must-haves or the idea of a setting that’s already decorated from top to bottom sounds too good to pass up, Boston has no shortage of amazing restaurant wedding venues. Read on to discover seven local eateries where you can tie the knot. Dreaming of an intimate wedding made all the more special with tasty Italian cuisine? 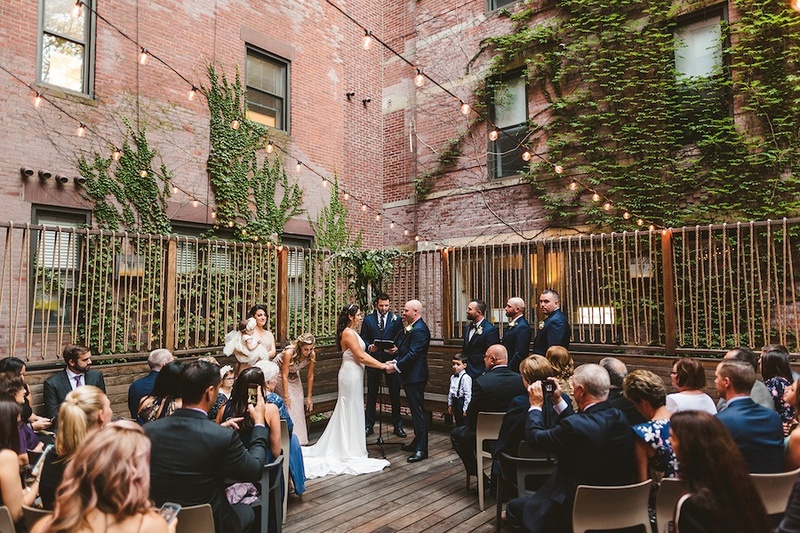 Swap rings on this South End restaurant’s patio, surrounded by brick walls, greenery, and string lights. Then head inside the space—which seats up to 45 guests in a private dining room or accommodates up to 200 with a full buyout—for cocktails, a Venetian-style dinner, and dancing. On the menu you can expect pasta made from house-milled flour, made-to-order risotto, and plenty of Italian wine. This Southie restaurant was once home to a copper fabricator, which explains both its name and its industrial-chic look. Complete with brick walls, exposed timbers, skylights, steel fixtures, and glass garage doors, the 12,000-square-foot venue, which can host up to 400, includes a ceremony-ready roof deck with string lights and a vintage airstream trailer, as well as a dining room with wooden tables and an indoor food truck. When it comes to the grub, the restaurant promises “globally-influenced” dishes and “adventurous interpretations” of classics. Case in point: a taco bar or a house-cured salmon platter with bagel chips and cream cheese. From its Spanish-meets-Japanese menu to its high ceilings and large windows overlooking Mass Ave, Pagu is hardly your typical wedding venue. The restaurant may be known for its Ramen, but chef-owner Tracy Chang can dream up a menu that’s completely custom for your big day. Alternatively, choose from pre-structured menu options such as a whole suckling pig dinner or a “paella party” with seafood or chicken paella. The Central Square eatery features a few different private event spaces, including a patio which seats up to 70, but a full restaurant buyout seats up to 150. 310 Massachusetts Ave., Cambridge, 617-945-9290, gopagu.com. If it’s a bohemian wedding you’re after, the cool cabaret vibes at the Beehive can’t be beat. The artsy restaurant and live music venue offers cuisine with Middle Eastern and Eastern European influences in any of six different event spaces, as well as a full buyout for up to 170 seated guests. The restaurant features two bars, a full stage with audio equipment, and plenty of space for dancing. For an additional fee, the Beehive also provides professional event planning services. 541 Tremont St., Boston, 617-423-0069, beehiveboston.com. With 8,500 square feet of space, floor-to-ceiling windows that pour in natural light, and hand-blown glass light fixtures, Catalyst offers a stunningly sleek space fitting for its Technology Square setting. Backed by French techniques, the fare, which includes dishes like foie gras tartine and red wine risotto, is simple, seasonal, and local. Host cocktail hour in the “fireplace room,” named for its two-way hearth, and your reception in the Watson room (named after one of the co-discoverers of DNA) which accommodates up to 200 guests. 300 Technology Square, Cambridge, 617-576-3000, catalystrestaurant.com. From a wood-burning oven that fills the space with everyone’s favorite campfire smell to rustic wood tables and pine-paneled walls, La Brasa is perfectly cozy. 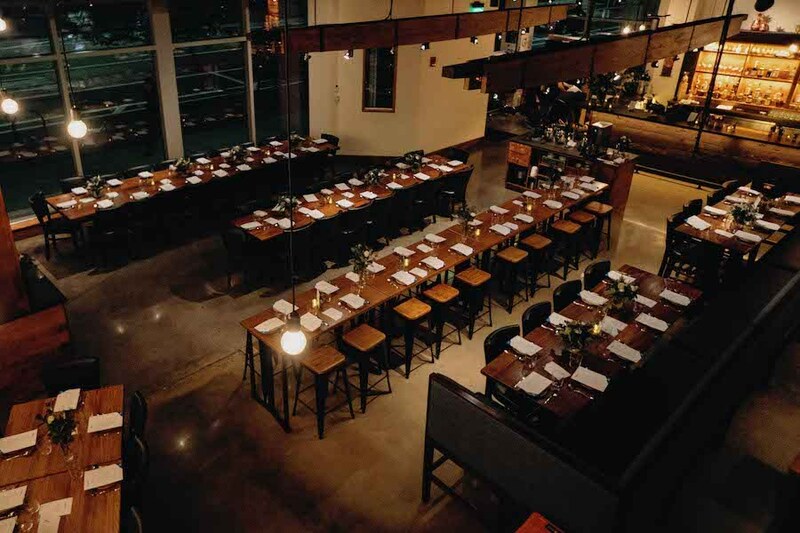 The East Somerville restaurant offers both private and semi-private event spaces, but the full restaurant can also seat up to 100 for a buffet or family-style meal. The menu, which draws upon Mexican influences, offers everything from cheese and charcuterie to a whole pig roast to dulce de leche flan. 124 Broadway, Somerville, 617-764-1412, labrasasomerville.com. 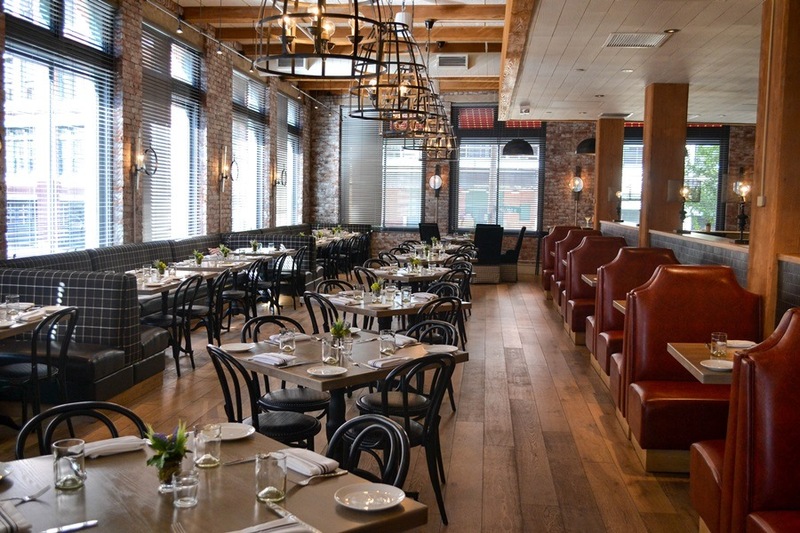 Fort Point’s Bastille Kitchen combines an urban loft aesthetic (think: wide floor boards, exposed beams, brick walls, and dim chandelier lighting) with a Parisian bistro-inspired menu for an ultra-romantic setting. The restaurant, which seats up to 100 guests, features two private dining rooms, a lower level meant to conjure the look and feel of a French chalet, and a sprawling main dining area. And the food? Top-notch from a cheese board appetizer and seared salmon main course to a dessert of mini crème brulees. 49 Melcher St., Boston, 617-556-8000, bastillekitchen.net.